Home » Reviews » Have you seen the Sodafloat yet? Have you seen the Sodafloat yet? Have you ever wanted to fish with chopped worm for those chub that hang about in the middle of the lake, but don’t seem to come to the feeder? or wanted to cast a float tight to the reeds at the far side but kept losing your hooks? Remember that day when you caught well on the pellet waggler and then the wind got up and you couldn’t catapult your pellets out accurately? Have you ever wanted the flexibility to fish and feed any bait with just one set up, either up in the water or at full depth? If the answer to any of the questions is Yes! – you need a Sodafloat. 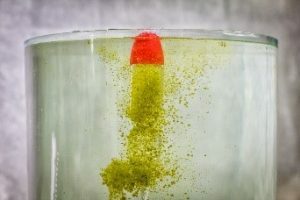 The Sodafloat is a unique float that makes it possible to simultaneously fish and feed with any bait at any distance you may want to cast. 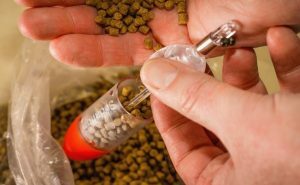 You can use pellets (straight out of the bag without any preparation), sweetcorn, hemp, luncheon meat, maggots, casters, groundbait and even very runny baits like chopped worm and slop. 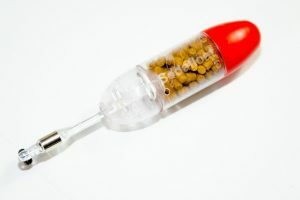 In a nut shell, you can use any bait that will fit into the Sodafloat. The base is loaded and casts extremely well, enabling an angler to fish and feed accurately at distances that have been previously unachievable by conventional float-fishing and loose feeding / catapult feeding. No other float lets you fish and feed with loose particles at the distances the Sodafloat can be cast. To set it up, it couldn’t be simpler. It has an integral eye that you thread the line through, then just secure the float in place using a couple of BB shot or rubber float stops. 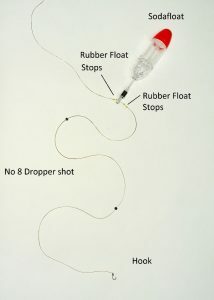 As the Sodafloat is already loaded, it doesn’t require much more than a couple of No8 droppers to shot it. 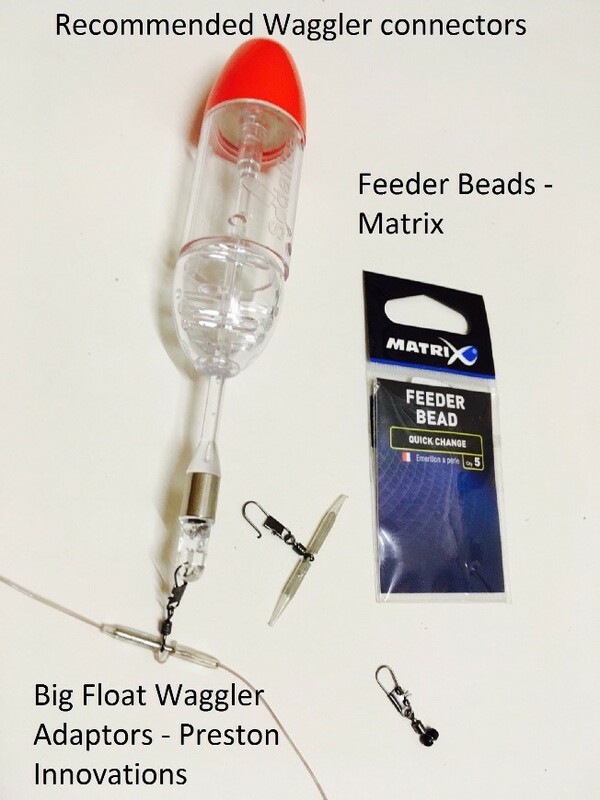 If you prefer, the Sodafloat can also be attached using waggler adaptors. Another big advantage of the Sodafloat is that because of the unique way the it works, it’s position in the water does not change when it dispenses its bait. 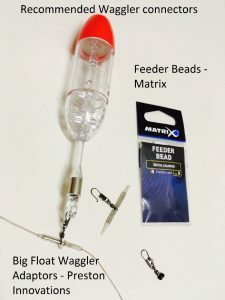 You do not need to under-shot it like other feeder floats and bagging wagglers, that ride up when they dispense their bait. 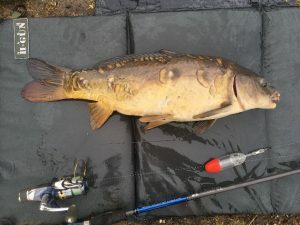 This makes it more sensitive and one of the reasons why anglers are using it to take large bags of roach, chub and ide. If you think that this is just another carp bagging waggler – you couldn’t be more wrong. To use the Sodafloat, bait your hook and whilst the float is inverted, slide the ball up to open the bait chamber. 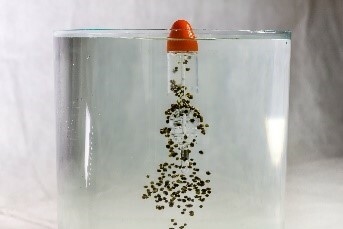 Fill the bait chamber with your chosen bait, then release the ball to seal the bait chamber. When it is cast out, the ball of the Sodafloat is pushed up against the bait housing by wind resistance sealing the bait inside. Initially, when the Sodafloat lands in the water, the air contained in the ball suspends the bait inside the Sodafloat, but after a few seconds the air contained by the ball is replaced by water and the ball slides down the shaft, releasing the loosefeed. This gives time for the hookbait to fall beneath the float – giving pinpoint feeding accuracy. You can also place your hook inside the bait housing if you want it to fall with your loosefeed or in the cloud if you are fishing with groundbait / slop. This feature also comes in handy if you are fishing up against features and you don’t want to snag up. 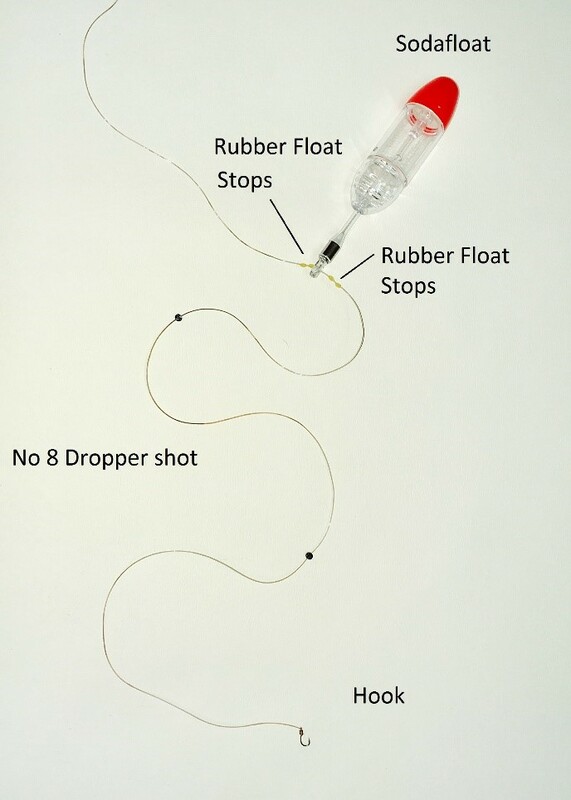 When the Sodafloat lands, the air contained in the ball, prevents it from diving too deeply, but it can be overcast and reeled into position without dispensing its feed, providing the line is kept tight.